I'd first started working with Lee & Dom at Jinks and Flicks at the children's charity I previously worked for. 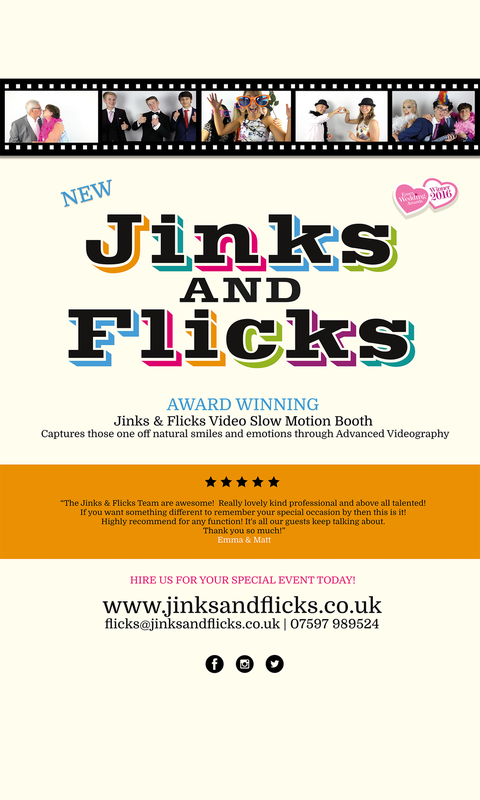 Their brilliantly fun and entertaining slow motion video booth has since become award winning, so they wanted to let customers, old and new, know about their new awards as well as new video packages for proms and weddings. Lee and Dom already had a strong logo design and extended brand identity, so the flyer and banner designs were a natural extension of this, continuing the fun and cheeky 'chappie' theme throughout.